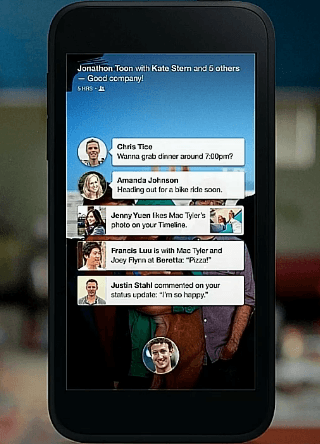 When Facebook unveiled its new Facebook Home Android experience set to roll out on number of devices today via Google Play, one of the most talked about features was “Chat heads”. The feature allows users to quickly access Facebook messages and SMS through circular profile pictures that users can access from anywhere in the OS and organize freely on the screen. Today, seemingly as part of its official roll out of Home, Facebook has updated its Messenger app for Android bringing a small piece of Home functionality to all Android users. The updated version of Facebook Messenger implements the new Chat Heads feature, allowing you to see a small round icon with the face of the person you’re talking to hovering on the display even when you exit the app. When engaged in a conversation in Messenger, exiting the app will automatically create a chat head floating on top no matter where you navigate, allowing you to quickly jump back into the conversation. The chat heads can be arranged freely and dismissed at any time by dragging them off the bottom of the screen. On top of rolling out the first device to come with Facebook Home stock– the HTC First– Facebook Home will also initially be supporting the HTC One X, One X+, Samsung Galaxy S III, Galaxy Note II, and eventually the HTC One and the Galaxy S4.